The association of metazoan, protist, and microbial communities with Scleractinian corals forms the basis of the coral holobiont. Coral bleaching events have been occurring around the world, introducing changes in the delicate balance of the holobiont symbiotic interactions. In this study, Archaea, bacteria, and eukaryotic phototrophic plastids of bleached colonies of the Brazilian coral Siderastrea stellata were analyzed for the first time, using 16S rRNA gene libraries. Prokaryotic communities were slightly more diverse in healthy than in bleached corals. 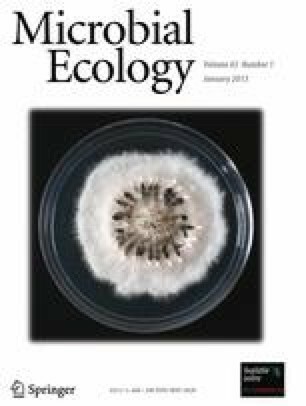 However, the eukaryotic phototrophic plastids community was more diverse in bleached corals. Archaea phylogenetic analyses revealed a high percentage of Crenarchaeota sequences, mainly related to Nitrosopumilus maritimus and Cenarchaeum symbiosum. Dramatic changes in bacterial community composition were observed in this bleaching episode. The dominant bacterial group was Alphaproteobacteria followed by Gammaproteobacteria in bleached and Betaproteobacteria in healthy samples. Plastid operational taxonomic units (OTUs) from both coral samples were mainly related to red algae chloroplasts (Florideophycea), but we also observed some OTUs related to green algae chloroplasts (Chlorophyta). There seems to be a strong relationship between the Bacillariophyta phylum and our bleached coral samples as clones related to members of the diatom genera Amphora and Nitzschia were detected. The present study reveals information from a poorly investigated coral species and improves the knowledge of coral microbial community shifts that could occur during bleaching episodes. The online version of this article (doi: 10.1007/s00248-012-0095-x) contains supplementary material, which is available to authorized users. We acknowledge Genome Sequencing facilities core Johanna Döbereiner IBqM/UFRJ. We are grateful to Aline S. Turque, Vivian Monteiro, and Denise N. Oliveira for library construction and sequencing. Special thanks to Leonardo H. Pinto for technical assistance. We also would like to thank the magazine referees which highly improved the quality of the information present within this manuscript.